Dr. Briollais is a scientist at the Lunenfeld-Tanenbaum Research Institute since 2000 with expertise in statistical genetics and Associate Professor in Biostatistics at the Dalla Lana School of Public Health, University of Toronto. Dr. Laurent Briollais' research program focuses on the development of statistical methods and study designs to identify and characterize genetic and environmental risk factors that influence complex human diseases at the population level. 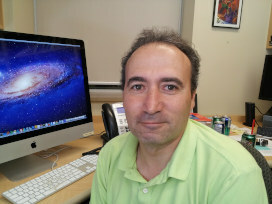 Recently, he has been working on the development and application of innovative computational and statistical approaches to identify epigenetic mechanisms associated with the Development Origin of Health and Diseases (DOHaD).